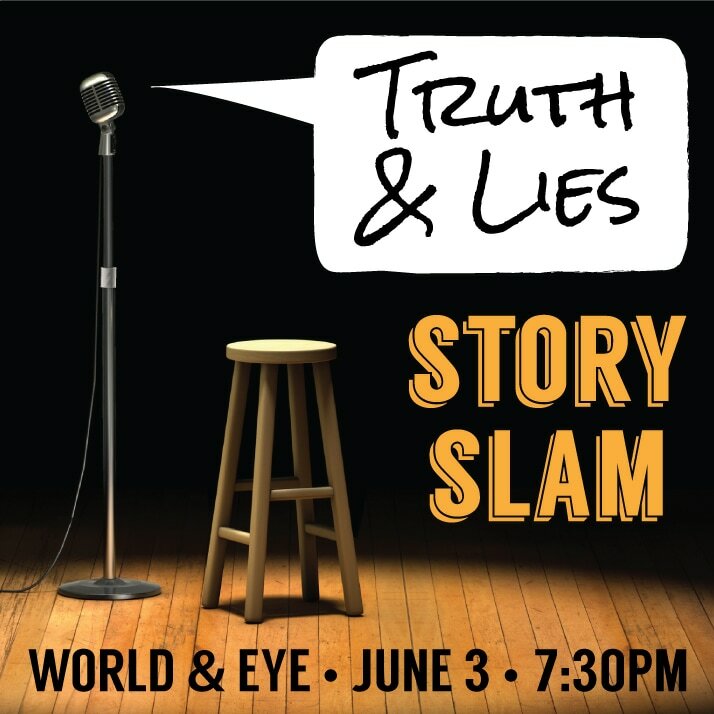 World & Eye is proud to present the Telling Tales Story Slam, an evening of intergenerational storytellers including teens (15+), adults, and seniors. The theme of the slam is Truth & Lies. If you'd like to be in the show submit your story idea here. Please note this is a sell-out show, so please book early, and arrive 5 minutes before the start of the show to claim your reserved seat.